Where to start today? Well, how about with the winner of the July Pitch Pick? DANA!!!!! with her pitch for CJ’s Tiger! Wow! That was a lot of excitement for first thing Monday morning. If you’re feeling a little peaked, feel free to take a short break for a sustaining snack. I’m offering homemade banana bread this morning, but I’m not even going to try drawing that! Great question, Stacy! And one I can luckily answer from my own experience. Scholastic editions, to my knowledge, have no change to original interior art or text. The cover may be different from the original and so may the title. 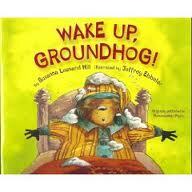 As examples, Punxsutawney Phyllis was sold through Scholastic as Wake Up, Groundhog with a different cover illustration. 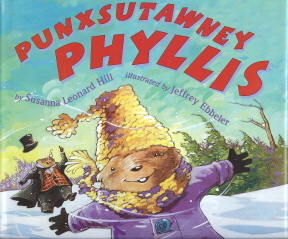 Scholastic did a focus group and determined that “Punxsutawney” was a difficult and therefore potentially off-putting word, so they chose to go with an alternate. 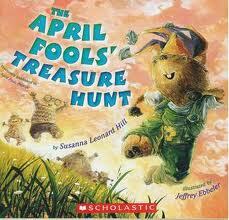 Likewise, April Fool, Phyllis was sold through Scholastic as The April Fools’ Treasure Hunt. There was discussion of changing the background color on the cover to blue, but in the end it stayed pink. In both cases, however, all the interior illustrations are the same as in the original versions and there is no change to the text. The only other difference is in the quality of paper and binding used. Scholastic versions, in an effort to be affordable to as many kids as possible, are mostly (if not completely) produced in paperback and may sometimes be a little less sturdy. If you’re on a budget but still want to increase your library, Scholastic is a wonderful option! And I will look forward to hearing from you all about whether the comments are working better/properly and what your thoughts are on attempting to continue Short & Sweets! Summer Short And Sweets – Week 7 – And The Give Away Winner! *AHEM* Yes, er, well….I guess you know my feelings on the Short & Sweets! I was thinking…do you have a book of writing prompts for kids? If so, you could put your own twist on those to adapt them to the PB-writing crowd. I say this because I have such a book, and perhaps I could help behind the scenes…if I can unearth it from the depths of storage. 🙂 And I'm all for recycling – I got some good stuff out of the first seven exercises! Thanks for today's explanation – I had often wondered that myself. Phyllis looks good in a nightcap! Yes, that should be one word per line. The ability to comment is such an issue. I'm thinking of changing the format of my comment box but I'm worried I'll have a similar problem. I do find it confusing when publishers put books out with different covers. I can understand them wanting to change the wording for sales overseas but sometimes they change things for the sake of changing. I have been really enjoying the Short and Sweets…would love to see it continued in some form. Interesting about Scholastic! Scholastic will forever mean that awesome book flyer that I practically memorized and then counted up my change to order from! Three Cheers Dana and wishing you the best. Okay, here's the thing about the short and sweets. I actually enjoyed them more than I realized, especially since the aim is more toward MG/PB level. It helped me get in tough with that inner MG writer that has been tapping me on the shoulder to writer an MG book for a while now. So the short and sweets have been helpful as well as enjoyable. So if you can work it schedule-wise, that would be great. Interesting what you mention about Scholastic books. I hadn't realized much of the difference since I've order quite a few books through Scholastic's catalog sent home through the school but never really sought the same book elsewhere. Very interesting. Thanks for answering that. I scored big that weekend with some scholastic and non-scholastic editions. 🙂 Your examples are great (and wonderful that scholastic sold them). I'm so glad you've enjoyed S&S, Angela! I think the exercises can be helpful no matter what level you write, which is nice, and I'm so glad to have some MG and YA writers joining in too! Yes, I don't know quite what to do about the comments… I'm afraid if I cancel disqus I'll lose all my comments. And there are some things I really like about disqus… but I'm wondering if there isn't some way to achieve the same thing through blogger… I'm just not savvy enough. And yes, in my case Scholastic had good reason for changing, but you're right – it's disconcerting when publishers change just to change! Yay! I finally got it to let me comment. I am thinking it thinks I gab on too much. Congrads Dana!!!! Yippee for you. And thanks to Stacy for that question. I wondered about that myself. Yes. Please continue Shorts and Sweets!! Congratulations to Dana! Yes to S&S! I didn't even know there were two versions, so I learnt something today! Yes, well, I guess it boils down to there isn't much difference 🙂 Thanks for stopping by, Leigh! Thank you for your enthusiasm, Shannon! I didn't even know you were doing S&S – I don't have your name on my list. Have I missed you somehow??? Did you have to try many times to comment? And do you use internet explorer? I am trying to determine common denominators (that is a math term I don't really understand but it sounds good :)) I'm so glad you're enjoying S&S but sorry that you are still sick! Get better, woman! I am sending Dr. Sue's Sure-Fire Remedy For Health Restoration: hubby and children do all the cooking, cleaning, chauffeuring and laundry while you settle in with one cup steaming raspberry tea, a long, relaxing lavender bath, favorite pjs, favorite movie (may I suggest Shakespeare In Love, My Cousin Vinny, or, if you want bittersweet and poignant, Sommersby? ), early bedtime, and plenty of hugs from Mr. Ed as well as hugs from all of us ((((((HUGS))))))) Subject: [susannaleonardhillblog] Re: Susanna Leonard Hill: Oh Susanna – Is There A Difference Between Scholastic And Regular Editions Of Picture Books? What a great question! I often wondered what the difference was between Scholastic and trade editions. Susanna, is there any difference for the author? Is it a royalty arrangement when Scholastic picks up your book? Susanna…I've loved the Summer Short and Sweets…and know that I need that type of creative writing exercises…so I would vote for alternating it on Mondays…and I certainly wouldn't mind you recycling ideas for us to work on. Just wanted to give everyone a heads-up about Marty Banks' new book, The Adventures of Tempest and Serena”…I saw her yesterday at our local SCBWI meeting and I'll be reviewing her book on my blog, probably Wednesday…she is going to be offering a free download on Kindle this coming weekend. I LOVED the book…couldn't put it down…a chapter book for ages 7 and up. Congrats Dana! So exciting. I missed last week because I was on vacation without internet, so I need to go back and check it out. I love your site Susanna. It's like a friend to me some days. I make sure to check in and see how people are doing. 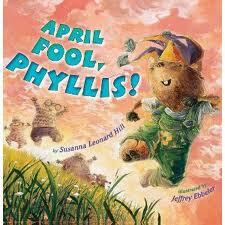 I can't wait for Perfect Picture Book Friday again and I look forward to some writing challenges this year. Thank you for creating such an amazing community on here and elsewhere. Big Congratulations to you, Dana! Your story is a fun one. This was a good discussion about Scholastic, including your insight on royalties. I think a lot of us never knew about how this Co. does their thing. Good stuff. Now, whew! I'm glad I can come out hiding since it seems everyone wants to continue your wonderful S & S series. I hope you are able to continue and not get TOO overwhelmed. I have always wondered why the scholastic version looks different from the original, Susanna. Thank you for explaining it! PAT! Does this mean you can comment???!!! Congratulations to Dana. What a great opportunity! You're welcome! And I think it depends on the book. A lot of them keep their original covers, I think.